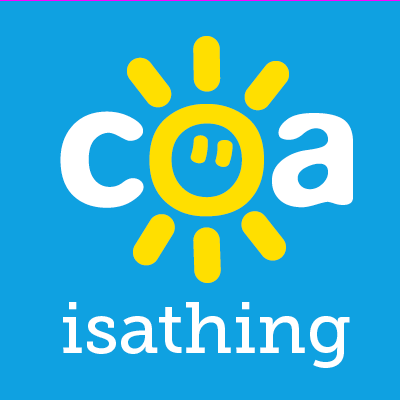 Self Preservation – Being a COA is a thing! I fee like this is such an important piece. It has been written anonymously but offers so much hope of how we can reach a place where we find our own value…. But also, it shows that we can build our own boundaries based on our needs and wants, even if that means distance from our parents, whatever stage of their own life journey they may be at. I personally am really thankful for this piece. Remember if you feel affected by what you read, Nacoa offer an amazing first point of contact. Want to tell your story??? Then get in touch. When I came on my journey of self-awareness, and to understand my thoughts and feelings I knew it was going to take me into the labyrinth of feelings I felt as a child and teenager. But I was finally ready to deal with them, the main feeling I had was sorrow, and abandonment, I feel sad more than anything, I use to feel anger but that’s finally gone and I am finally ready to say … this was my life, but I am now a person I am really proud to be, I am a person who puts my own mental health above anything else, I am a person who’s been through tough times but I’m doing just fine. I have great people in my life and I choose who’s in it, because it’s my life. I went on my mindfulness journey for my son, when I found out I was pregnant I knew I needed to deal with some of the issues I was harbouring way down in the pit of my belly. I constantly would tell myself that my story wasn’t worth telling, mainly because my mum is now sober, she has been for about 4 years. I have moved on very much so. I have forgiven my mum, I really have, it took a long time but I can understand why a lot more. I shouldn’t treat her like that? That’s a tricky one, because what I’m doing auntie Liz (not a real aunt names changed for purposes of story) is called SELF PRESERVATION. Why as a child of an alcoholic am I made to feel the bad one? Because she still is an alcoholic whether she’s sober or not, the fibre of her being has altered and at the end of the day for 12 years of my life, she was an alcoholic, drug addict and I did everything I possibly could to help her, save her, I honestly thought my mum was going to die. I feel so thankful that she didn’t, and that she is still here, but I was 99% at one time that my mum wouldn’t be here by the time I turned 20. So I’m telling my story, hoping that some people can find peace that somewhere in our parents they can find sobriety, but also, to show that is OK if they do that we aren’t their number 1 fans, were proud in a weird distant way, but I am not about to have her as a big person in my life, yes she is my mum and I thank her for giving me this life, but I thank myself for being the person I am today, and I think that’s OK, whether you think I’m selfish or not, remember you come first, and you need to always have that as a priority, and if you are still going through it if your mum/dad is still drinking, I want to tell you that walking away is OK too, it’s in fact sometimes the best thing you can do for them. I had a normalish up bringing, my mum and dad separated when I was about 6 weeks old, in my early years it was me and my mum, and my nan use to speak fondly of How close we were. When I was 4 my mum married my step dad, and had a little boy. Their relationship was horrific, the worst two people you could imagine for each other, constantly goading each other, winding each other up, arguing. My step dad had two other children from a previous marriage so it was safe to say we weren’t your traditional 2:4 family, but we’re happy in between the fighting. Until I was about 7 or 8 my step dad always treated me differently I wasn’t his so he had no loyalty to me, he’d constantly remind me, of this, and although he’d never hit his own kids he had no problems when it came to me. He was also fairly abusive to my mum although she did give as good as she got, I use to witness some pretty spectacular fights between them. My mum couldn’t really handle drink, my memories at this age were her drinking baileys at christmas and being merry, but now I look back and realise she could never enjoy one glass of it, she’d neck the bottle! So her problems with alcohol I suppose have always been there. I remember when I started to realise this was a problem, I was 9, we had just moved, and my mum had finally split with my step dad, and she moved about 20 miles away with me and my brother. It’s fairly significant that my brother had special needs and was non verbal and still is, so the decision to leave him finally was pretty big as she would have sole responsibility for making sure my brother got the right care, and his behaviour problems were at their worst at this age too, he would constantly throw things and break things etc… so this was already hard enough on us as a family, but my mum chose to cope with these issues by going out and meeting new people, these people drunk and soon enough my mum was drinking every night, at first it was fun, got to stay up late and my mum had terrible hangovers so she’d stay in bed all the next day so I got to watch TV all day and play. There were still good times, it started at this age where she would promise she wouldn’t drink again, she’d drink get in a right mess, call people drunk and emotional, and then spend the next day in bed and then the day after that she’d be up taking us to school, and cooking us a home cooked meal to say sorry. My brother was starting to get worse though, and my step dad and mum continually argued and continually kept getting back together and then they weren’t and life was so unsettled for us. When I was 11 I had an accident that hospitalised me for about 6 weeks. My mum at first was perfect, there every day and doted on me I loved it, I loved having the attention, it was great! But she stopped coming choosing to get drunk instead of coming and this was really the unravelling of it all, the accident was the nail on the head and she really started drinking to cope, I didn’t want to come home from hospital I’d exaggerate pain to stay in for a few more days when I did come home it was never the same and she started drinking every day, hiding bottles in any place she could to hide it from the world. She became pretty abusive or emotional when drinking we didn’t know which one we’d get, and she’d lie to us telling us it was tea or coffee in her mug, she hid it more than ever. And because she just drank through the hangovers now. When I was about 13, drink was no longer enough for her, she started drugs too, and with this she descended into an Abyss, friends with really non desirable people and our household fell apart. She would constantly take my brother out in the middle of the night to really horrible places, and she’d bring horrible people back. Id feel so vulnerable and at risk, She regularly left me to my own devices at night and always took my brother. Mainly because I questioned everything, it was easier to leave me at home. Then one night it was about 5am and I heard a banging at the door, and my nan screaming my name, I ran downstairs and she hugged me tight – I asked what was wrong my mum had crashed her car, with my brother in it. Thank goodness my brother was OK. My nan couldn’t believe that I was left alone, but I lied and said I didn’t know she had gone anywhere – even though it was a regular occurrence I knew that I wouldn’t be able to stay with my mum if they knew and I knew I needed to help her. I swore to myself I wouldn’t let her take my brother out anymore, she was 4 times over the drink drive limit, so she lost her license and relief flooded me – surely it will get better, then she can’t get anywhere? Nope, it got worse, we argued as I wouldn’t let her take my brother anymore, she disappeared for 3 or 4 days at a time, she’d come back sleep off whatever for 2 days, and then straight back out again, same cycle. Because drugs aswell as drink she had no money, me and my brother always had clothes, mainly because both our dads provided those, but we would regularly run out of electric, gas and food. It became about survival then not for me but my little brother too. I always got him to school, and then get myself to school too. I sustained normal for a long time, I didn’t want people to know. If friends wanted to come around or if friends mums asked if my mum could do a pick up I’d normally lie and say she was working. But it got harder to keep this up, especially as now my GCSEs were approaching. My dad was around, but he wasn’t approachable he had hardly been there for me growing up, and he now had a new family I knew I couldn’t speak to him. My nan knew all wasn’t well but no idea of the extent. The key thing here is if I could have spoken to someone and told them, the next things may have never of happened and me and my brother could have been safe, something else for me to feel guilty about. My mum was vile to me, she’d emotionally abuse me regularly mainly because I wouldn’t let her take my brother or because I would be a basic stroppy teenage and beg her to stop drinking so we could be a normal family, sometimes I only had to breathe. She’d call me names at first and then she’d regularly tell me how I ruined her life, how if it wasn’t for me her life would have been great, she wish I’d never been born, how I destroyed her relationship with my step dad, how I was trouble and pure evil, she’d rip into me (I was 12 – although it continued well into my twenties) basic things like that. She’d then say when I was your age I was skinny and beautiful, not sure what happened to you. She’d tell me that I was a know it all, and I thought I was better than her, and that my dreams would be ruined like hers and that I should accept it. Then the physical stuff started – mainly pulling hair, slapping, throwing things at me. Me and my brother lived for her to be out of the house I’d save some money go and put £2 on the electric get us under loads of blankets watch a film and eat our dinner mainly pot noodles or ready brek. These are my happy memories and I’m thankful for the time with my brother. My mum was house proud before but as we sat on the sofa under blankets thankful she had left for a few days it was clear that the house was falling apart around us, we lived in a bedsit basically. Gradually I started to go out more, I was 15 when I myself started to drink and go out. I’d wait for my mum to be home from her benders and I’d go out, I’d then wait until she went home again and bought my friends back to my house we’d drink a lot. I’d drink to numb the pain from what was happening from the pain caused, and I’d get myself into some shady situations and I was only 15. I also didn’t need to be strong as my brother didn’t need me as much. It was easy when you had a mum who didn’t care if stay until the sun rose, she wouldn’t have a clue. Me and my mum would fight, and now she had reason to blame me for everything I was a problem child that’s why she drank! She couldn’t control me she’d say, she’d only have to ask me or tell me to stop, or support me and I’d have been there like a puppy dog she never did. I had a particularly hairy night when I was 15, my mum had pulled my hair and thrown me down the stairs I went out and got so drunk I blacked out. I did some pretty crazy things, I felt terrible I hurt people close to me and I was slowly becoming like her my biggest fear. My mum was at home the day after, and she was shouting and screaming at me that I was useless and she hated me etc … that I was going to be just like her pretty normal day, as she did this I slipped 1,2,3,4,5,6,7 and so on paracetamols down my throat, the door wide open, then I started on ibuprofen and then some other things I found in the bathroom, she continued to shout and finally she drunkenly came in my room, probably to hit me or pull my hair because I wasn’t listening, and she saw the tablet wrappers it was the first time I saw panic on her face and a genuine emotion towards me of worry, I’d seen her do it to herself so many times but I had wanted it to work on me I wouldn’t tell her how many I took or what I took, she phoned my nan, who phoned an ambulance and I eventually had my stomach pumped, as I laid there thinking why on earth hadn’t I died, the councillor came in and my mum was on a major come down buzzing around the room too scared to leave me alone with anyone in case I told them … I simply told them that I just wanted some attention, and I had that my mum, my nan and the boy I had been seeing were all at my bedside. (That boy FYI is now my husband!) but I was more lost than ever. But something clicked and I knew I could never do anything like that again, and this is when my first interest in gaining a healthy mind started that was 14 years ago now, and it’s still one of my most significant memories. It probably was a cry for help now I’m reflecting I think I just wanted to shock my mum out of it, it didn’t work. I realised I needed to get out of the house if I wanted to make something of my life, I took my GCSEs and I was allowed some re takes / they came out OK and I got into sixth form. But my mum was too much I’d have to physically lock myself away in my room to stop her coming at me, I wanted to stay I wanted to help I knew it wasn’t her it was the drink, my mum got in the door one night and threw a vase at my head whilst I was sleeping, I still don’t know why! That was finally it, I had no option but to walk away, I had to leave my brother but I knew she wouldn’t touch him, she never had before she had some morals. My nan took me in and I told her everything she never once questioned me, she hugged me tight and told me I could live there as long as I needed. Sixth form wasn’t working out and my uni dream was dying. The school was far from my nans and because I wasn’t interested in getting drunk anymore I lost some friends a few stayed by my side once I opened up to them. I opened up and my nan made me go to social services for my brothers sake so I did they came around all official, took down my story, and then they invited my mum and brother for a meeting at my nans house, my mum put on a show and broke down about how hard work I was and how she couldn’t control me. The social services simply wrote it off as a difference of personalities when I look back now it’s clear she was alcohol dependant you’d have to be blind to not see that and the numerous noise complaints and the amount of times she was arrested or in an ambulance or whatever all they had to do was look at the history. What you have to realise is me and my brother were my mums financial income, because of my brothers condition she was entitled to many benefits, all that were her lifeline to continue drinking, she wouldn’t admit there was a problem otherwise she’d lose everything. I struggled to wake up in the mornings, I didn’t know what my life was going to be I was 16, and so lost, what was I going to do, who was I going to become I was petrified, the thoughts froze me with fear and the anxiety was hard to control. My nan pushed me to get a job and a job in something I loved, it took me some time and a lot of nagging but I did it I landed a job at 16 on a full-time basis. My brother got taken away from my mum a few months later she had a breakdown and broke every single thing in the house whilst my brother looked on terrified she got taken away by paramedics I went there with my nan and cleaned the house for her, I hugged her and begged her to get help. She came out a few days later and now she had lost my brother she had lost everything. She continually tried to kill herself and I was there for her after every time, but she’d always go back. She’d promise and go back I paid for things I tried, she was still abusive she’d abuse over the phone, by text or turning up at 2am. I’d desperately try to get her help she got admitted into 3 or 4 psychiatric hospitals nothing helped, she went into rehab it didn’t help. My brother got taken in by his take a break carers and fostered he was doing great and flourishing every day! I on the other hand, I was struggling again, why couldn’t my mum do this, she enrolled in AA promised she wasn’t drinking and she was it was a constant cycle of lies and heartbreak. I got my first flat at 18 she would turn up at all hours demanding money from me, because “I ruined her” she’d scream. She’d kick the door, shout all sorts. My nightmare hadn’t ended when I left that house she had this hold over me, I wanted her to be the caring mum that I had made up in my head, the one who had me and my boyfriend around for dinner, she never was. She missed some pretty big things in my life starting with me passing my driving test, my promotions at work, I was made a senior manager by the time I was 25, my engagement, my first mortgage, my 21st, she came to my wedding but was pretty out of it, I invited her to the church, but she proceeded to make it a pity party about how she had kicked the drink, as I smelt it on her breath! She missed the holidays I went on the second house we moved too.. everything. We got to a stage where we sort of talked, but was few and far between I stopped caring if she was sober or not because I had my life. She would always make arguments up out of nowhere over nothing, she loved drama. She got sober about a year after I got married. That was 12 years of hell I’d been through and she was finally sober was I proud? I suppose – did I care – nope! Why? Because I needed to drop her out of my life she was a drain, and did slowly but surely done that over time, I didn’t want to hear it, I didn’t want to see her I blocked all contact I needed to go on my self-preservation journey and I did exactly that for 2 years. I suppose the distance started when I moved out of the house but i didn’t truly let go for many years. But when I did, I was wrecked with guilt what if something happens to her? I refused to let it consume me and cracked on building my life – that niggle is still there. The best thing happened to me just a year and half ago, I fell pregnant with my first baby. I was so ready for him. I found out I was pregnant when I was 2 weeks pregnant, I couldn’t tell my mum until I was 20 weeks, I didn’t want to share it with her why should she get something so special? It’s been difficult since then with the feelings I have, and how much I want to protect my boy from my childhood, I don’t want him to know, I suppose I’m writing this to make sure I’ve got it out there I’ve written it down and said goodbye because nothing above will hold me back from being the very best mum I can be. And I have let my mum meet him 3 times in his 8 month life – pretty good going for me, and I’m so proud that I’ve been able to do that with her because I didn’t think we’d even have that. Although she’s always pushing for more. My boundaries are up, I want a relationship with my mum but I want it on my terms, and I feel guilty for keeping her at arm’s length every single day, but I know for MY family and I this is the best thing I can do. The easy option is to lower the barriers and let her in, but I’m not going to do that yet, it will take years to rebuild our relationship. I do want my son to know her growing up and get to know her as long as she’s sober. But what recovering alcoholic parents need to realise is it takes a long time and a shattered heart and soul for a child to put their parents at arm’s length and whole lot of history, it takes an even longer time to rebuild something that’s smashed into teeny tiny pieces and patience and understanding is key, if you can’t sit back and nurture that relationship and understand, then maybe arms length is where you should always be. I basically want to get across that everyone’s story is different, don’t judge me because I choose not to have my mum as an active part in my life whether she’s sober or not, I’ve chosen to do that, don’t feel sorry for me because what happened to me, what my mum put me through made me who I am. My mind is strong – mindfulness, yoga, meditation, research and talking all help to keep it that way. One step at a time. Maybe one day we’ll be a mother and daughter dynamic. Basically do you, do what feels comfortable to you, I tried 100s of times to help my mum to always be let down. I never truly knew what love was until I was with my husband and now I have had my son, and to be loved and feel loved, I never want to doubt how someone feels about me and neither should you. I make my choices and this one about my mum I’m finally very comfortable about. Next Post A Mum Is Supposed To Be Your Best Friend But My Mum Put Alcohol Before Me. Really emotional well written account… I have taken my children away from their alcoholic dad as they were ‘normalising’ this destructive family life and I couldn’t take any more. My ex is sober now and wants praise and thanks for the smallest things.. I’m trying to keep a healthy distance from him. I think the children have figured him out and don’t really get excited about seeing him. You’ve made a good decision in not having much contact now. Thank you for sharing your story you are a brave lady and you should be really proud of all that you have achieved. Congratulations on becoming a mother – it’s such a special time for you and your baby. Having healthy boundaries is a really positive way of coping with the traumatic experiences of your early years. Its about you now and your family that you have created. I understand completely the need to keep your mother at arms length. This is such an inspirational piece of writing. I work with families affected by substance use and I also have my own issues with parents. I completely empathise with the boundaries you have in place and wish you all the best in your lovely new life.